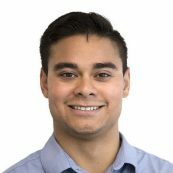 Luis Gomez is a Logistics Assistant at PYXERA Global on the Global Pro Bono team, where he supports program management throughout the division. Prior to working at PYXERA Global, Luis interned at Chemonics International in their Latin America & Caribbean region, focusing on USAID funded small and medium enterprise development projects in El Salvador and at the U.S. Department of Labor in their Bureau of International Labor Affairs, where he focused on the Harkin-Engel Protocol to alleviate child labor in Ghana and Côte d'Ivoire. Luis holds a BA in International Affairs with a regional focus in Latin America and a concentration in Human Rights from Lafayette College.